SEACAMP offers overnight, residential programs for students starting at 5th grade. We welcome groups and schools from across the country during the fall and spring semesters. Whether you are a school group looking for an annual field trip or an extracurricular club looking for a fun, educational experience, we are the camp for you! Our 5th and 6th grade residential field trips have been most successful with our two-day and three-day schedules. Our goal is to supplement traditional marine biology classroom study by providing hands-on marine science education programs. We incorporate labs on fish and invertebrates with field activities such as snorkeling, kayaking, boogie boarding and tidepool exploration (tides permitting). Students also accompany staff members on a Floating Classroom expedition, which can be combined with watching for California gray whales in season. Looking for a school year program for a group of younger students or day camp options? Visit our SeaLab Day Camp page. 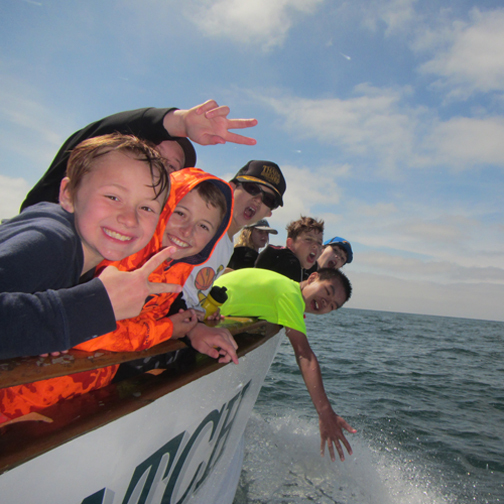 We recommend 2 or 3 day programs for elementary school students with the core activities including, Snorkeling, Boogie Boarding, Invertebrate Lab, Fish Adaptations Lab and SEACAMP San Diego’s exclusive Floating Classroom Boat Trip. 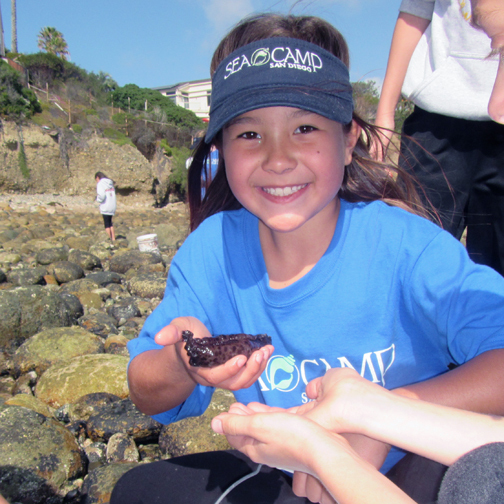 SEACAMP San Diego provides overnight, residential programs for students 5th grade through high school. Our youngest age range is 5th grade based on maturity for overnight trips, readiness for the material covered, and gear sizing. Attending groups usually consist of one or two grades. We recommend 2 or 3 day programs for Elementary School Students. For groups with younger students, please see our SeaLabs Day Camp Programs. The maximum group size for elementary school students is 52 with a total maximum of 56 including attending adults. This maximum is not flexible; it is the maximum number of participants that we are able to transport, house and accommodate in water activities. School groups needing to limit their group total have found setting grade or behavior standards for students very effective! SEACAMP San Diego has two dorm spaces – one dorm for females and one for males. One dorm will accommodate up to 31 participants of one gender and the other dorm will accommodate up to 25 participants of the other gender. Gender maximums should also include any adults staying onsite. Currently, SEACAMP San Diego does not have the resources to accommodate a gender neutral dorm space.